Mr. Tomio Isogai, Ex-Managing Director of Sharp India Pvt. 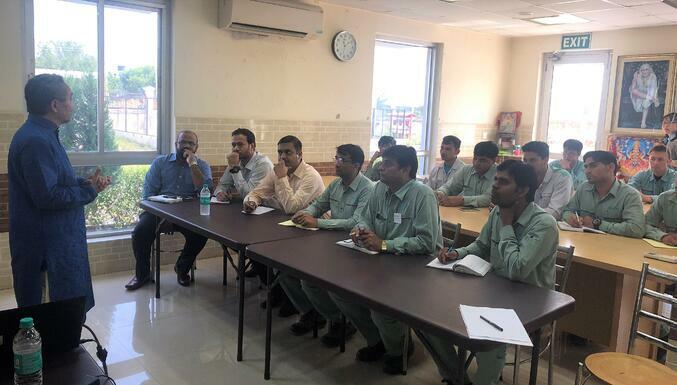 Ltd., the adviser for Indo-Japanese relationship and Adjunct Professor of Ajeenkya D.Y Patil University, Pune, was invited to deliver a lecture on Multinational & Cross-cultural Management. He has travelled to different countries and lived outside Japan since 1984. Since 2012, he has been living in India and is well aware of the Indian working culture. His global experience, knowledge and management style makes him a very dynamic personality, and it is always a wonderful experience talking and meeting with him. 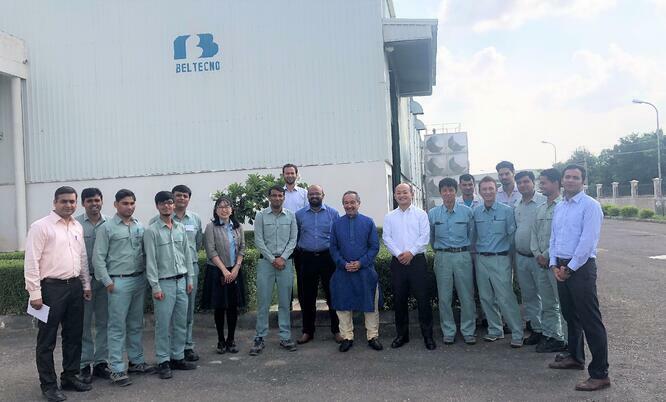 Beltecno India Pvt. Ltd. is a Japanese Multinational Company based in Neemrana, Rajasthan, India, managed and controlled by a Japanese management team. 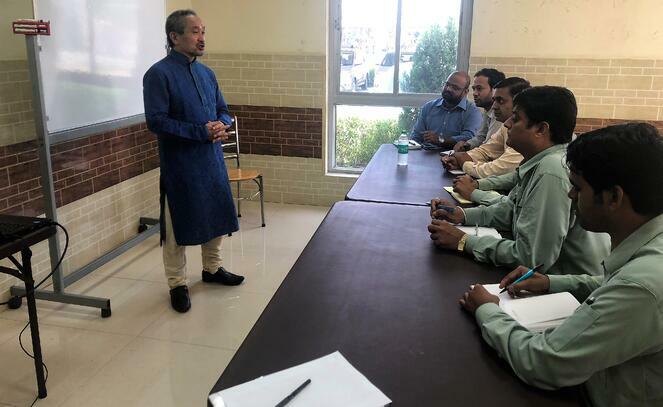 Along with domestic Indian team members, some working cultural gaps are being noticed and to overcome this, we invited Mr. Tomoi Isogai to deliver a speech on his experience, gained in last 22 years. Different perspective and commonality between India and Japan. Secret of Japan’s recovery after the Second World War. Population pyramid in 2050 Vs 2015 along with global competitiveness Index 2017 and India. India’s & Japan’s strong partnership. 11 Articles of the Constitution for making a global-minded person. Mr. Isogai gave a very good example of Indo-Japan commonality which is worshiping Nature and even the worship of the Hindu god (Ganesha) in secret, in more than 100 temples of Japan which is a very big number indeed! This surprised us, as did the many other examples of which we heard. Buddhism, which was originated in India, born in Nepal and later, it spread to Japan and many other countries. After the Second World War, Japan’s recovery from such devastation, which happened within a 33 year timespan, is nothing but a miracle and the world should learn from it. The secret of Japan’s success was hard work, obeying all set rules and regulations, punctuality, HO-REN-So and so on. These qualities helped Japan to rank No.4 in the Global Manufacturing Competitiveness Index 2016. Also, according to the basic principle of the Constitution published by Prince SHOTOKU in 604 A.D, the word “Wa” was introduced which means harmony, solidarity and unity. Later on, subconsciously, this philosophy shared by all Japanese, became the origin of the ethics of the Japanese. Mr Isogai also explained about the Japan & India Vision 2025 “Special Strategic and Global Partnership”. The two countries will be working together for peace and prosperity. As a result, in 2022, the upcoming project, the high speed railway network will follow Japan’s “Shinkansen” bullet train system. Also, Mr Isogai thinks that “Japanese teamwork and accountability combined with the Indian Jugaad concept would create the best manufacturing system in world” and that this is attainable. After the talk, we had a QA session, where we discussed the working cultural gap between two different teams i.e the Japanese team and the Indian team and the measures to overcome such gap. Also discussed on the communication problem and ways to minimize the same. As well, explained both the minimum requirement and the expectation sought from Japanese Management for working together i.e particularity, tell what you can do only and so on . The hope is that this talk will be more than helpful to all of us. There is no doubt that Mr. Isogai carries a broad vision for a better tomorrow for India, as he continues to work to forge a bridge between India and Japan. We always want him to guide us in achieving our set goals. We look forward to meeting with him again soon!